New York City has such rich choices for Urban Sketchers. The finest collection Ukrainian Art outside of Kiev. 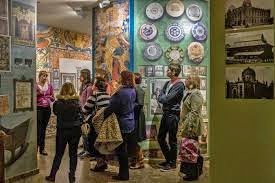 The Ukrainian Museum is the largest museum in the U.S. committed to acquiring, preserving, exhibiting, and interpreting articles of artistic or historic significance to the rich cultural heritage of Ukrainians. 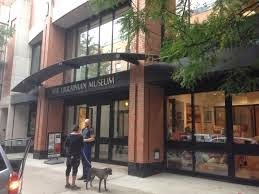 At its founding in 1976 by the Ukrainian National Women's League of America, the Museum was hailed as one of the finest achievements of the Ukrainian American community. - The folk art collection, with more than 8,000 objects, is one of the most important collections outside of Ukraine. – Spring is here and so are the Easter holidays, which together will offer welcome relief from the harsh winter of 2015. 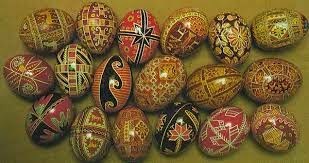 It's the season for making pysanky (Ukrainian decorated eggs), and for reviving the ancient Ukrainian Easter traditions signifying the renewal of life. For one day only (March 28) visitors of all ages will have an opportunity to watch artists proficient in this art form in action as they create beautiful pysanky. In addition to the demonstrations, the award-winning short film Pysanka by Slavko Nowytski will be shown continuously from 1-5 p.m.
Pre-registration is required for the Pysanky Workshop . Call 212-228-0110 to book a seat. When: Part 2: Dr. Sketchy starts filling up at 3:30. The best seats go quickly.Session runs from 4-7 pm. or Walk an 18 minute walk, slightly less than .9 miles. How Much: $12 in advance, $15 at the door, and a 2 drink minimum.